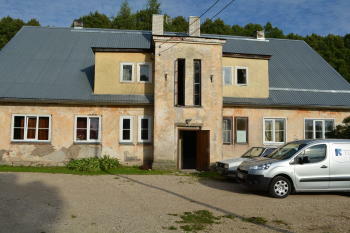 One of LifeNets projects this past year has been monthly support for a half-way house in Tartu, Estonia. It is a place for released prisoners to go after their incarceration. Our connection to it is that it was the place where prisoner Valdur, Vesingi was housed after his release from prison in Tartu on May 22, 2015. Story can be read here. It is managed by prison chaplain Olavi Illumets. 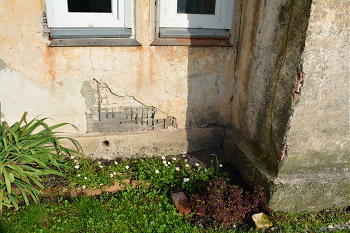 Our monthly support is 100 euros which is the same amount as the city puts into this home monthly. It is to pay for extras such as firewood. Exterior of the house. You will notice the roof is new. The Annemõisa House where the prisoners are offered a short term home by Olavi and his Prison Ministry. Both males and females are offered residence here. They cannot be paroled unless they have a place to live. Olavi has stepped up and provided this requirement. In this house, there are six apartments which are quite small, but adequate. There is no water or sanitary; water must be brought in from a well and all liquid waste (except for the toilet) must be taken out to an open pitt and disposed there .... such things as dishwater and wastewater from the floors plus other cleanings. 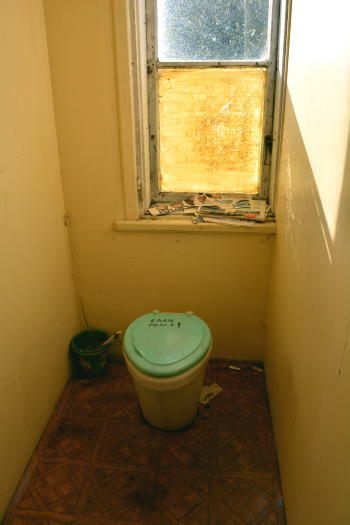 There is a single dry toilet for all 6 apartments which Olavi maintains. Olavi is fighting a difficult fight. But in spite of the difficulties, he (plus his wife Marina and the entire organization) provide hope for some few prisoners. It is to be noted that these are some of the most hopeless. Most prisoners do have a family to whom they can return. This place is needed because some do not have ANY support group or family. Olavi does not work under the illusion that there will not be a large recidivism rate among these prisoners. But to quote Mother Teressa, he "does it anyway". And for some few, their life will be changed. In summary, I would say this is a wise use of the resources of LifeNets. 1.6. Major problem for former inmates is the lack of finances as the opportunity to work in prison is available just for a few inmates and therefore their release fund is usually very low on cash. Most of the inmates leave the prison only with travel money to their place of accommodation and nothing else. Therefore there is a real need for this kind of "half-way homes" for former inmates. 2. MTÜ Rehabilitatsioonikeskus Valge Eesti is at the moment among the organisations to whom the Ministry of Finance has granted the privilege of tax deduction. Every Estonian citizen making a donation to the organisation can apply for a tax rebate on the donated amount. 3. The larger plan of the organisation was to establish near Tartu a "half-way home" for paroled inmates where they would be guaranteed 6-12 months of accommodation, social programmes, catering and spiritual counselling – all this in one location. This house would have accommodated about 10–15 former inmates. 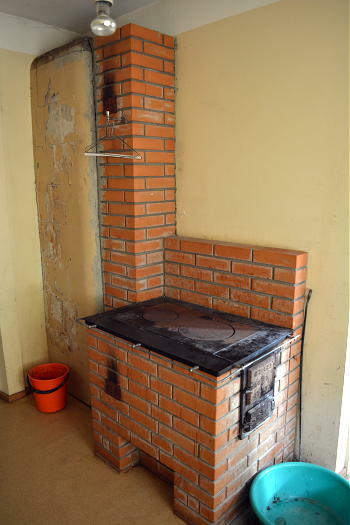 At the time the organisation is only able to rent two very basic one-room apartments from the city of Tartu (water from the well outside, dry toilet shared by two apartments, no sewage system). 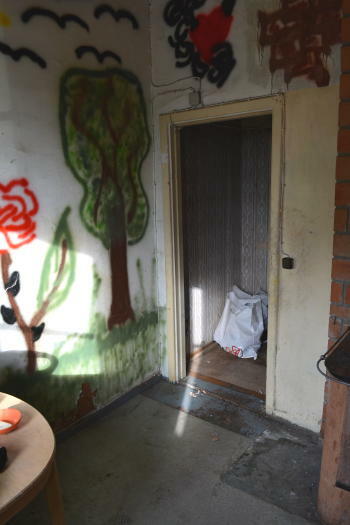 Better conditions, however, are not available as the next level of accommodation would not be financially manageable for the inmates (it would run up the costs to 150 euro a month plus electricity and firewood). No programmes can be carried out in those limited conditions. The organisation has a need for an office space and counselling area that could be visited also by those paroled inmates who need counselling but not accommodation. This plan has not been implemented, however, for the organisation does not have necessary finances for obtaining suitable real estate in or near Tartu. This real estate should ideally also provide some working opportunities for the paroled inmates and social areas where the volunteers can spend time with them in the evenings. 4. The activities of the organisation are possible only thanks to the voluntary effort of the organisation members. A group from Finland comes to serve in prison from time to time and when they come, they also contribute financially to the organisation. Last year they donated 1200 euro to the organisation (the donator is called Kaplja Vody Pisara RY, registered in Finland). All other means of the organisation have been donated by its members. 4.1. 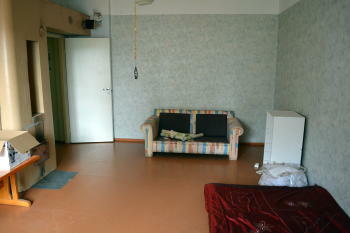 Every month the organisation pays to the city of Tartu 100 euro for the two apartments. That makes 1200 euro a year, even if there are no inmates living there at the moment. 4.2. The yearly cost of firewood is approximately 600 euro. 4.3. When inhabited by paroled inmates, the apartments also incur costs for electricity. 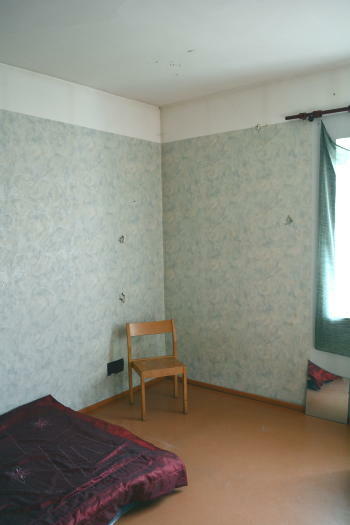 For example in April 2015 the organisation paid for one apartment altogether 81 euro (50 rent + electricity). The inmates are usually able to start paying for their accommodation and other costs only in the third or fourth month when they have found a job. After that they usually find also a better accommodation but the organisation has to keep paying for the apartments even when there is nobody living there. 4.4. Organisation members usually meet also with the relatives and family members of the inmates which usually leads to various travel costs. 4.5. Until 2013 the organisation was able to use the rooms in one of the congregations of Tartu where they had an office and a meeting room. In 2013 the congregation sold the house and the organisation lost the place to provide counselling and other services. Senior Chaplain Olavi Ilumets – a Bachelor degree in Theology and a Master degree in Pastoral Counselling. He has also attended and passed several courses on crisis intervention, negotiating hostage situations and counselling people with special needs. He has also necessary training in counselling and working with people who have substance abuse issues. Chaplain Tiit Kuusemaa – higher education in Theology, various training courses. 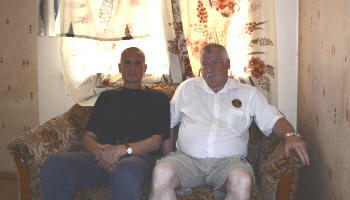 In addition to these two board members there are 5 other members of the organisation – a chaplain and four volunteers. 7 paroled inmates, the warranty letter has been provided for 5 more inmates. These five, however, were not granted parole by the court. 7. The registration number of the organisation in the court register is 80215068 and its official address is Vallikraavi Street 16A, Tartu, Estonia. This address belongs to the Tartu St. Luke Congregation to the United Methodist Church in Estonia. The chairman of the board Olavi Ilumets is a priest in the United Methodist Church. This address is used as the organisation does not have any real estate of its own.